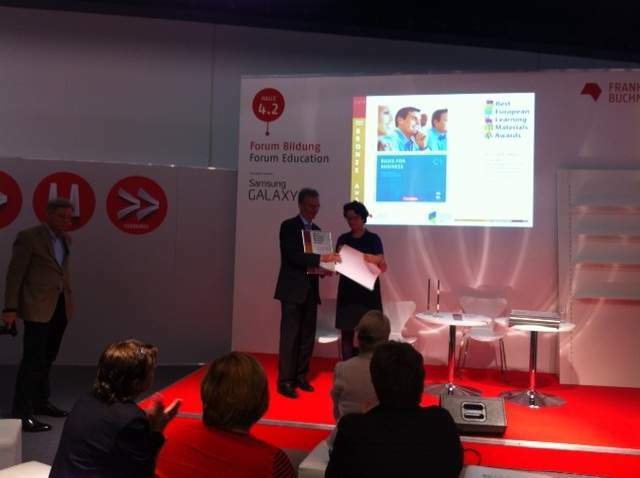 “Today at the Frankfurt Book Fair the Basis for Business series was awarded a bronze medal in the annual Best European Learning Materials Award (BELMA) competition. We’re delighted the series has received this international recognition and would like to take the opportunity to thank you all once again for your excellent contributions to this highly successful coursebook series. We look forward to meeting as many of you as possible at BESIG in Bonn this November. The evaluation criteria make my heart sing. Mike Hogan started this series so well, and then he and Carole Eilertson teamed up for B1 and B2. I did much of the writing for C1, and then there were all the great advisors and Janan Barksdale, the wonderful editor who held things together from B1 on. Overall, Cornelsen and the team did a great job. It’s a privilege to be part of this winning team.